Gate Buttress contains the most popular crags in Little Cottonwood. Routes range from easy 5th class to impossible-to-believe-humans-could-climb-it lines. See an oblique aerial view here. Drive 1.25 miles up Little Cottonwood Canyon parking at either the lot on the left or along side the right side of the road. There is a main trail that begins on the west side of the parking lot that leads up to the Gate Boulders where the trail forks. For the Dihedrals and Beckey's Wall take the right fork and head up hill. This branch is rather fragmented and is not always clear. For all other crags continue west as the trail meanders through the revegetated talus area. See the individual crag descriptions for more info on getting to them. Note: In 1998 through 2000 the area below where the approach trail is located was quarried and is presently under revegetation. Please stay on the climber's trail so it can recover. climbers because of its world-class granite. and the local climbing community. An orange 40m rope was misplaced probably somewhere at the trailhead. If any kind soul has it and is looking to return it you will definitely be compensated!! On 10/8/16 between 11:00 am and 3:30 pm we had cash and phones stolen out of our bags which were located at the base of schoolroom direct. The thief went into our bags and through our wallets taking only cash but leaving everything else (credit cards, drivers license, etc.). The gear we had in our bags was worth more than the phones and cash but it was not touched. A claim has been filed with the police, please contact me if you know anything about this or had this also happen to you on this day. 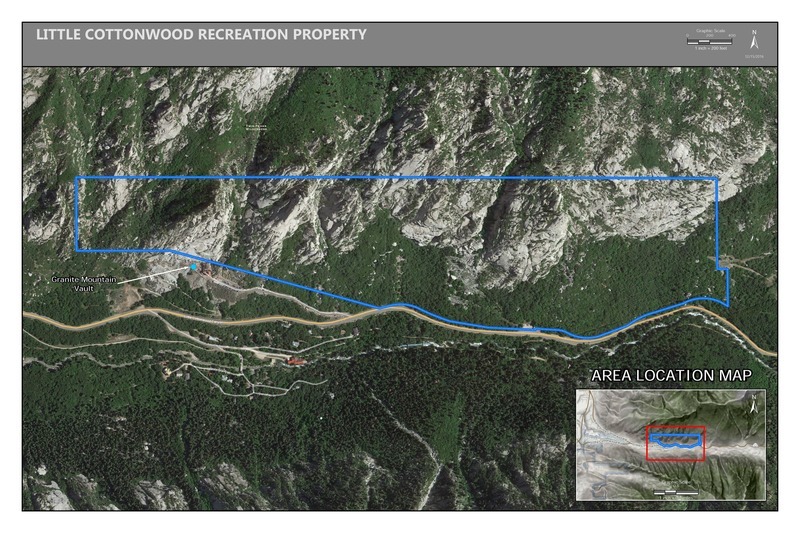 June 1st, 2017, Salt Lake City, Utah – The Salt Lake Climbers Alliance (SLCA), the Church of Jesus Christ of Latter-day Saints (LDS Church), and Access Fund announce the signing of an unprecedented lease for 140 acres in Little Cottonwood Canyon (LCC). The parcel, known as the Gate Buttress, is about one mile up LCC canyon and has been popular with generations of climbers because of its world-class granite.